if u see the boiling rock u can answer this: u think zuko is sad because he have to leave mai when she was helping the avatar´s gang? Which of Zuko's haircuts do u like best? Who do u think is better with Zuko? If Zuko was a dog what breed would he most likely to be not because its your favoriete and why? At the end of Sozin's comet part 4, when Zuko asked Ozai "Where's my mother? ", I knew he would not have an immediate answer. This eluded to a possible continuation of the series, of at least another show....but this was not to be. Happily, Dark Horse had picked up the reins and led us onto the further adventures of our favoriete gaang. After years of wondering and waiting, we are finally able to embark on yet another life-changing field trip with Zuko-actually it's Azula's turn-to quell that vraag that has burned in our minds for so long. Promise u will take me down if I become so bad. I was walking home pagina one day. I hurried past the bus stop. I was hurrying because my favoriete toon was going to be on soon. It was going to be on until 12:30am tonight. The toon I'm going to be watching Avatar:The Last Airbender. a comment was made to the poll: Who do u think is better with Zuko? a reply was made to the forum post: zutara do u think zuko and katara should be together? what did zuko say to his father who was in prison in the last episode? How did he take your firebending away? zutara do u think zuko and katara should be together? 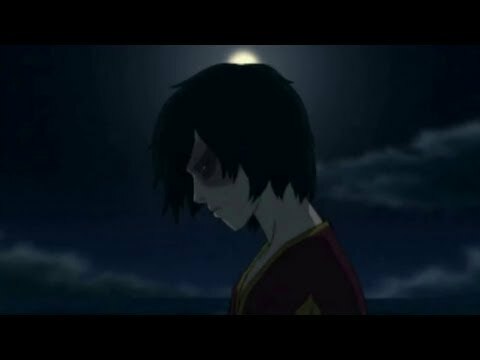 What do u think of Zuko? Do u think Zuko and Katara could have a relationship and a family?